I am pretty new on here; post image hosting debacle. Anyways, as most of you know you are no longer able to view all the amazing resource images on here. A lot of the topics I have searched are image heavy and with no images, provide very little value. 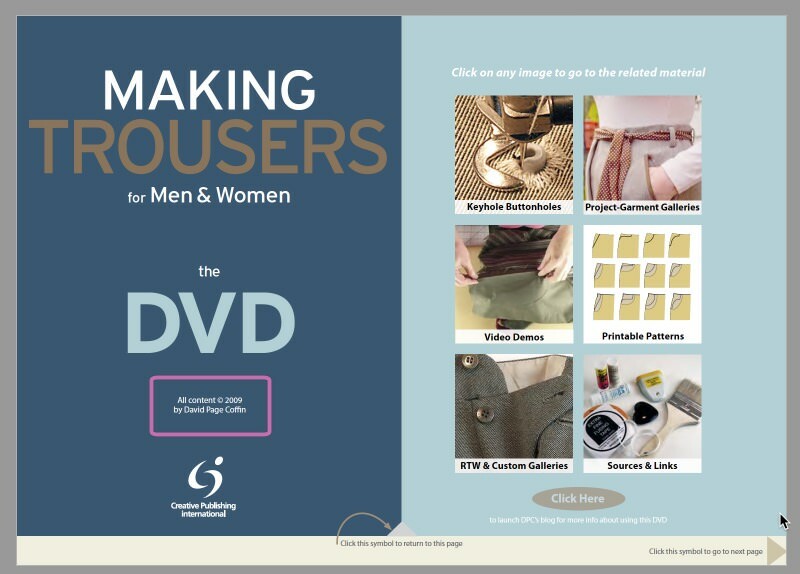 Anyways, I was hoping someone would be so kind as to set me up with some PDF books on tailoring? I remembered seeing a post somewhere where someone had many books that are also out of print as well. Honestly anything helps. I am pretty new to garment making, only really duplicating old well fitting garments I deconstructed and reverse engineered. Anything on pattern drafting would be great, but beggars can't be choosers. I am unsure if I can get messages on here so you can email me directly at sr_padron@yahoo.com Thanks in advance. I have several pdfs. Some came from the forum and some I digitized from old books. Do we have a dropbox or website where I can upload them? Please send me an email if you can help with the info. I have a dropbox with loads of stuff, I can share that one if you like. Claire, Tom, would you be so kind to share your dropbox with me as well? I have some books here in pdf verison, but I'm sure you've read them already. I have some older pdf's as well that I found on the net, but not sure if they're relevant anymore as the drafting systems have been replaced by Rundschau system. Tom and Claire any help would be appreciated so much! Call it an early Christmas gift haha. I am not sure how drop box works but I will PM you both for info. Yes thanks so much. If anyone else has any books to contribute please do. Let's share the knowledge since most of the image resources no longer work. Many thanks for the generosity shown here. I am a beginner and will be spending months absorbing the knowledge shared. .
A pleasure. I have moved a few more bits in there since my last post too as they were sat in another folder. But please don’t share it on; it's not free content—It's not expensive, but it's still putting food on my table, ya'know? Thank you—And Happy, Sewing-Filled, New Year, everyone! Edited by dpcoffin, 27 December 2017 - 06:40 AM. Hopefully no one downloaded that, we caught it pretty much straight away. Again sorry for that blunder Dave. Happy New Year to one and all. tombennet and Ingn2-- THANKS FOR SHARING YOUR DROP BOX LINKS!!! ...and Ms Claire Schaeffer! -- YOUR BOOKS WERE THE GATEWAY DRUG TO ME BEING HERE. so Ms Claire, if you've shared your dropbox link anywhere else, please re-post (i stopped using dropbox when i left the art world and had no idea you could DO this with old ancient books and i'm sorry that i spent HOURS and WEEKS scanning old ancient inter-library loan books to paper without saving as FILES to share! but i've also quit using technology past 1996 because it's completely beyond what i'm able to take in as a human being with shreds of actual concentration left on how to learn this new field. i used to be a fiction author/artist and technology killed livelihoods so now i'm betting what's left of the farm (me and my ENERGY) on fine casual tailoring for men because fat men and muscly men can't find a thing to wear that's not a muumuu and this time i want to do something you cannot offshore to china or even the next TOWN over. i think this is radical what you all are doing in this era. you're keeping some kind of lineage to our HUMANITY. i don't overstate it. i know you know that or you wouldn't be here either, blissed out on ancient tailoring books. because our patterns and how we move and feel and what cloth we shroud ourselves in is POLITICAL. i had NO idea. i've just seen what my own man i'm dressing is like when he has things that fit even just going to the supermarket. people talk to him! he feels swagger! thanks for sharing all this. i will use what you've given and give in this as well.